The Eddie Murphy/Ghostbusters connection goes back a long way. The irony there is that most people have no idea there’s a connection at all. Legend has it that while writing early treatments for Ghostbusters, Dan Aykroyd had his eye on Murphy for a co-starring role. This would have been during Murphy’s days on Saturday Night Live. But as the film evolved, and Harold Ramis, Ivan Reitman, and Bill Murray became involved, the idea of Murphy playing a role fell to the wayside. Decades later, Dan Schoening would pay a subtle tribute to Murphy in Ghostbusters #2. Alright, maybe subtle isn’t the right word. As Ecto-1 does one of its trademark zooms out of the firehouse, it nearly clips Axel Foley, Murphy’s character in Beverly Hills Cop. Foley is conspicuous by his trademark black jacket and muscle car. 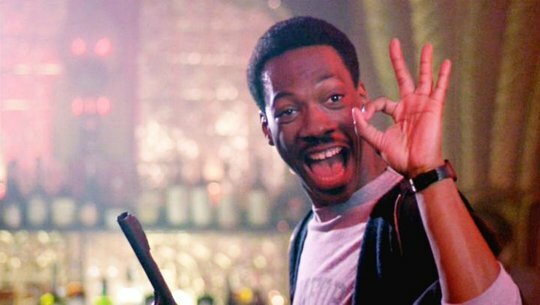 Fittingly, both Ghostbusters and Beverly Hills Cop were released in 1984. Both made big bucks, and spawned franchises. *sigh* Sure makes you miss the ’80s, doesn’t it? 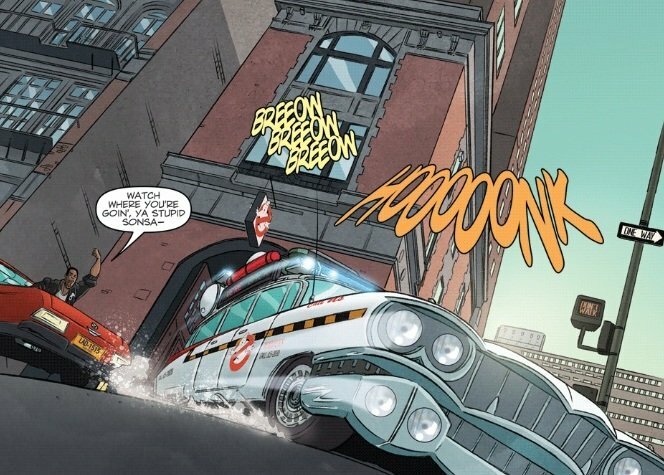 This entry was posted in Comic Books/Graphic Novels, Dan Schoening Easter Egg Hunt and tagged Beverly Hills Cop, comic art, comic book art, comic books, Dan Aykroyd, Dan Schoening, Dan Schoening Easter Egg Hunt, Ecto-1, Eddie Murphy, Ghostbusters, Ghostbusters #2 (2011), Ghostbusters comics, Harold Ramis, IDW Publishing, Rob Siebert, Winston Zeddemore on 08/08/2018 by primaryignition.